Thank you for your interest in the future of coaching/learning tennis. Technology tools should be an amplifier of old school hard work. Let's be part of the future solutions by using and helping to shape productive technology tools for tennis! Wanting to be part of the solution and productive use of technology in tennis, I consult, lecture, and give specialty courses on “Technology in Teaching Tennis” ( PTR, USPTA, etc.) In 2015 I started the online social media group called “Tennis Teaching Tech” as the first online “community/forum” dedicated to Technology within tennis. The Facebook page, Instagram and now this blog found interest and is now "Tennis Techie". I'm also the founder of Coachnect LLC. In 2012 I developed the individualized web app www.hoplu.com for player skill building, communication, motivation, tracking, etc. and a video analysis service called www.tennisfilm.com. I've worked with Texas A&M Aggies Men’s Team (NCAA #3) as their video Analyst/analysis provider and technology advisor. I'm currently the United States Representative for the smart court "mojjo". For a Podcast Interview with Alex on Technology click here. I received the Touring Coach of the Year award from USPTA Texas 2016 for my work and results with competitive junior players. I have personally been the primary coach for over 40 players to Tennis Scholarships for schools such as USC, UT, MIT, Rice etc. I was the Intersectional 16's coach for New England 2017. 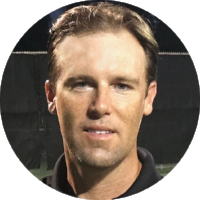 Certifications: USTA High Performance Coach, USPTA Elite Professional, Swedish T. F. Level 2 Certified, RacquetFit. Thank you again for your shared interest in helping the sport and players evolve!